The reports section provides you with the numbers behind your team. 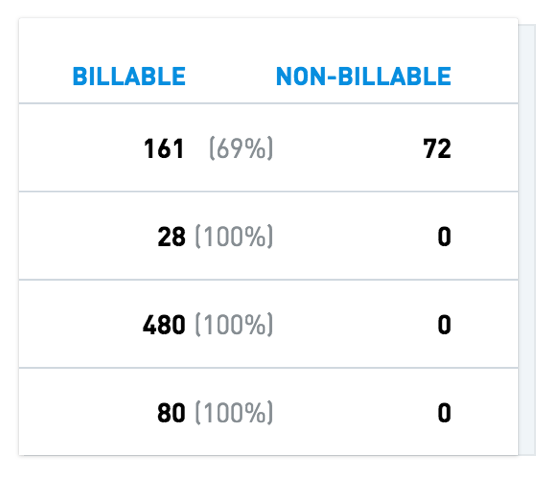 Compare your billable hours as a percentage of your total working hours. View staff, contractors, unassigned roles, or a combination of all three. 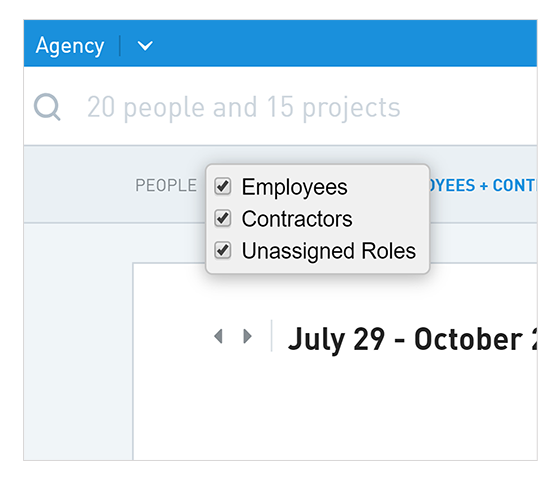 Use the filter to report on multiple people, departments, projects, and clients. 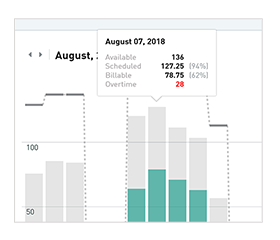 Track project or client hours, and compare billable vs non-billable project hours. 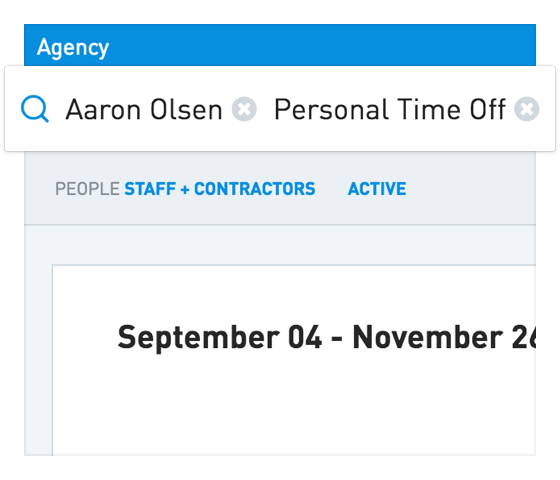 Schedule and report on company holidays and individual or department time off. 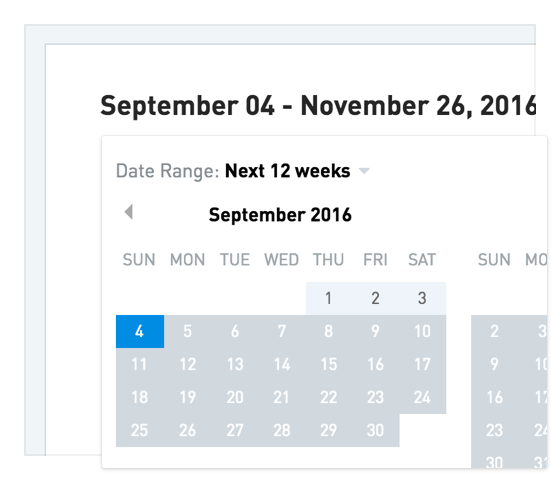 You decide the reporting period with preset and custom date ranges. We got a quick and simple solution. 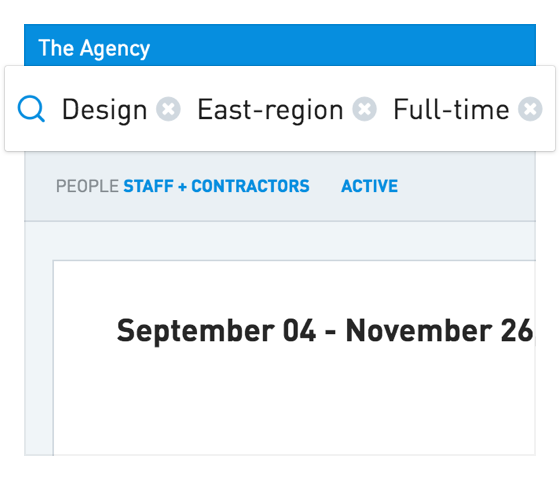 The reports provide a great overview over all projects and team member’s utilization from day one.